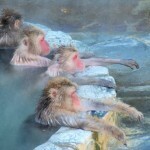 4 best cherry blossom spots in Hakodate! Goryokaku Park, which used to be the center for politics in Ezo, is now one of the most popular sightseeing spots in Hakodate city. A cherished place to relax for many of the Hakodate locals, it is also one of the best spots to see the cherry blossoms in spring. The park has over 1,600 varieties of cherry blossom trees, including the famous Somei-Yoshino variety. Once the flowers begin to bloom, the entire star-shaped park turns pink. Perhaps you might like to climb up the Goryokaku Tower inside the park to see for yourself? 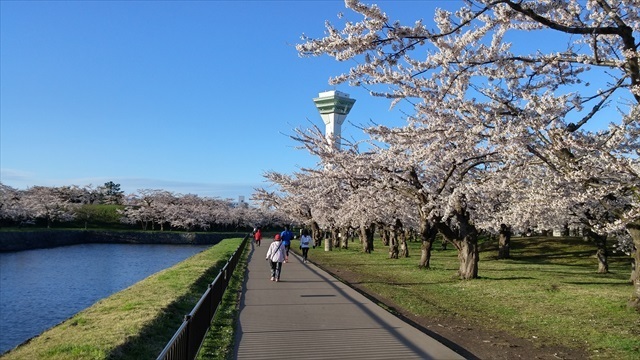 By the way, Goryokaku Park also features the “benchmark tree”, by which Hakodate’s meteorological observatory measures the cherry blossom season’s progress for the entire region. During the flowering season in Goryokaku Park, around 450 lanterns are hung from the trees, so you can enjoy the blossoms after dusk as well. 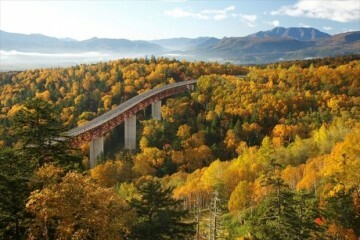 During this period the park’s fire ordinances are relaxed to accommodate the Hokkaido tradition of enjoying Genghis Khan cuisine and barbecues while enjoying the blossoms all around. 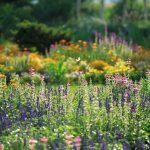 Visiting either Goryokaku Park or Hakodate Park (introduced below) during flowering season, is an opportunity to experience Hokkaido’s unique way of enjoying the blossoms! Goryokaku Park features not only cherry blossoms, but also gorgeous plum trees. To recreate an old photo of Hakodate magistrate’s office (Bugyosho) that featured a plum tree beside the building, the city planted a plum tree in the exact same spot as shown in the picture. If you visit Goryokaku Park, check out the magistrate’s office too! Located at the foot of Mt. 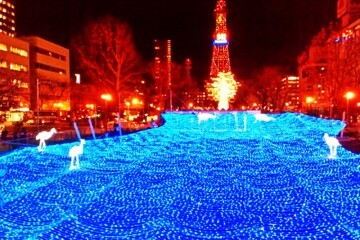 Hakodate, Hakodate Park has a long history stretching back to its opening in 1879. In spring, the park brightens with over 400 cherry blossom trees. From the old days on, it has always been a much-loved location in the city. 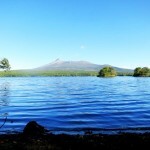 Although the park is more popular among locals than among tourists, there are many interesting features inside the spacious park, including the municipal museum, and some of Hokkaido’s historical cultural assets, including buildings and monuments. During flowering season, the grounds near the park open up for parking, so you don’t have to worry about finding a parking spot. 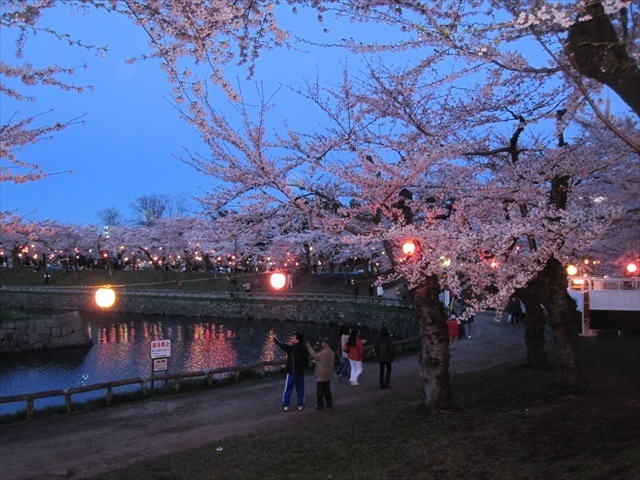 During cherry blossom viewing period, about 400 lanterns hang from the trees to illuminate them. 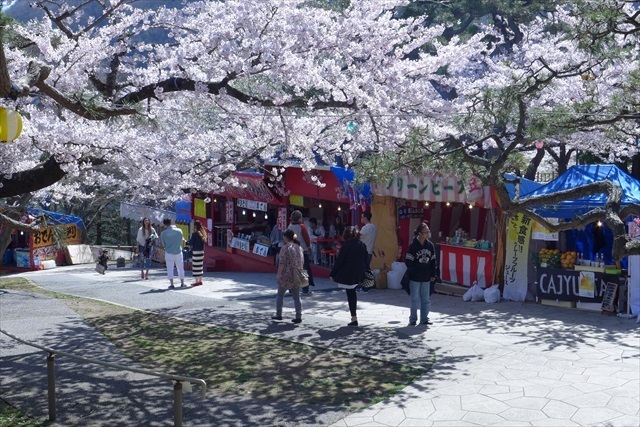 There are over 30 stalls while the park is lit up, so you can enjoy the cherry blossoms in a festive mood. 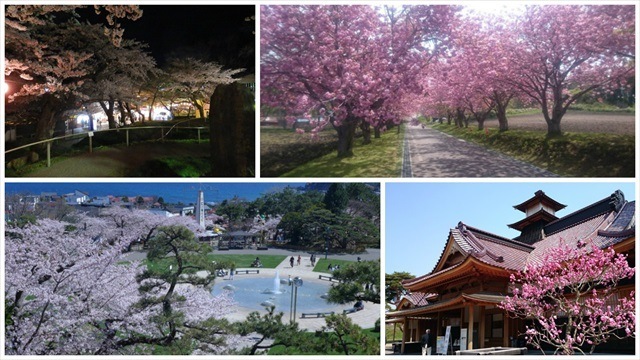 Hakodate Park, like Goryokaku Park, relaxes its fire ordinances during the cherry blossom season, so enjoying Genghis Khan and barbecue with your family and friends is also something we recommend! 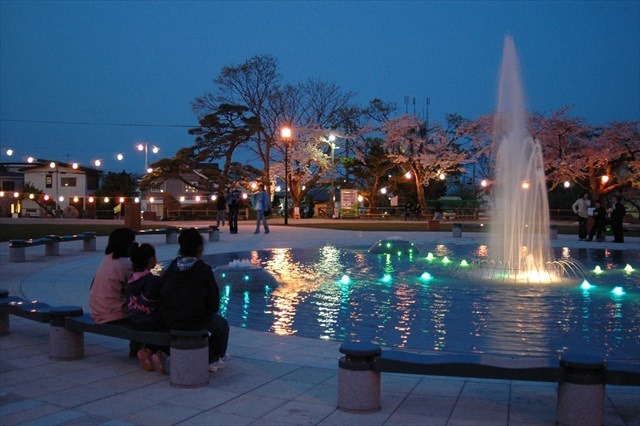 In Hakodate Park, there is a fountain where you can play around with the water, as well as the first animal breeding facility in Hokkaido where you can see animals such as ponies, deer and goats, and Kodomo no Kuni, a playground featuring retro playthings including Japan’s oldest Ferris wheel. The park is a great place to bring children, with many locals having fond memories of the playground from their childhood. If you have plans to visit Mt. 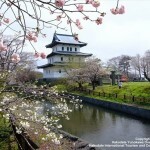 Hakodate, how about stopping by at Hakodate Park to enjoy the cherry blossoms? 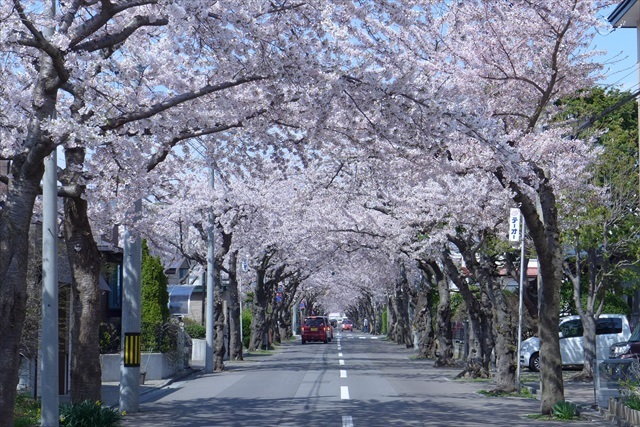 In a quiet residential area in Hakodate city, there are about 800 meters of cherry blossom trees along the street. This popular street is commonly referred to as Sakuragaoka. 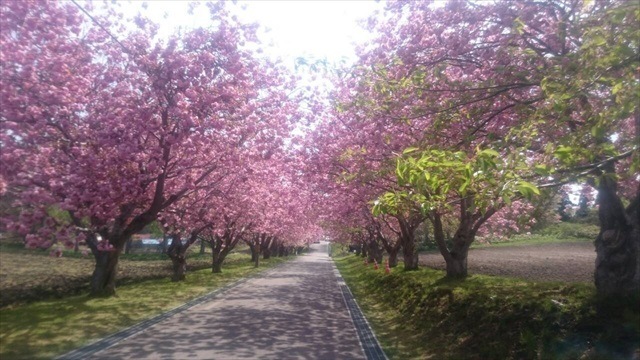 About 100 cherry blossom trees are planted on both sides of the road, and when the cherry trees reach full bloom, a magnificent pink tunnel appears in the residential area! These cherry blossom trees were planted in the early Showa period, although there were times when the cherry blossoms withered and almost died. Fortunately though, people living in the neighborhood voluntarily purchased cherry blossom trees and tried to revive the cherry blossoms, which resulted in creating an even more gorgeous view than before. 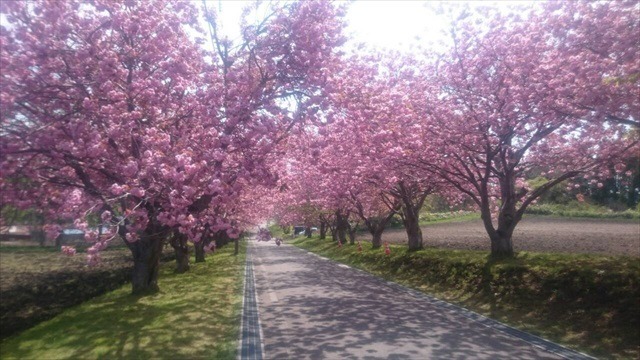 Normally the road is frequented only by locals, but during spring large crowds gather to enjoy the tunnel-like view the cherry blossoms create. 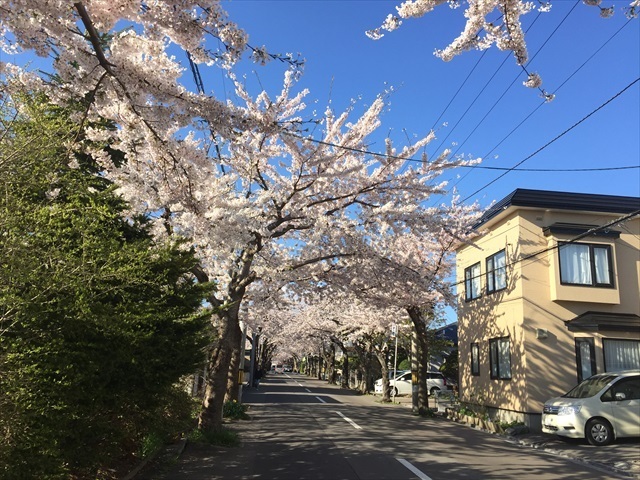 It is a great spot to see cherry blossoms in a residential area. 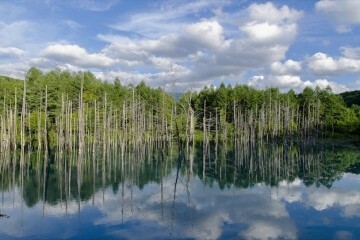 If you want to visit, be mindful not to disturb the locals, who do their best to preserve the trees. 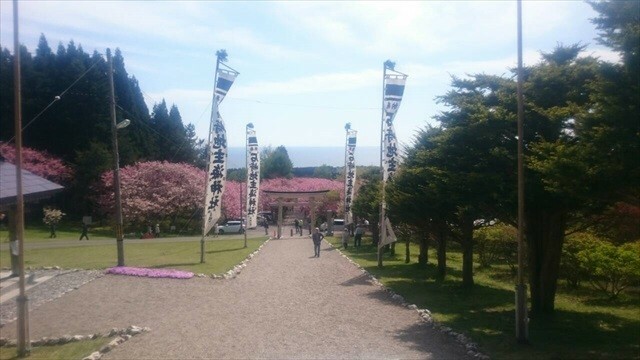 One of Hakodate’s hidden cherry blossom spots is located a 30 minute drive away from Hakodate Airport. 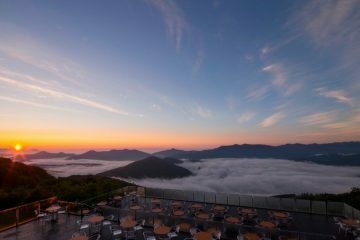 Situated on a mountain is Ishizaki Jinushi Kai Jinja. The cherry blossoms trees in the spots we have introduced were mostly of the Somei-Yoshino variety, but the cherry blossom trees planted in Ishizaki Jinushi Kai Jinja are of a variety named Ganzan, a type of Yaezakura, which bloom later and have more vivid-colored petals than Somei-Yoshino. 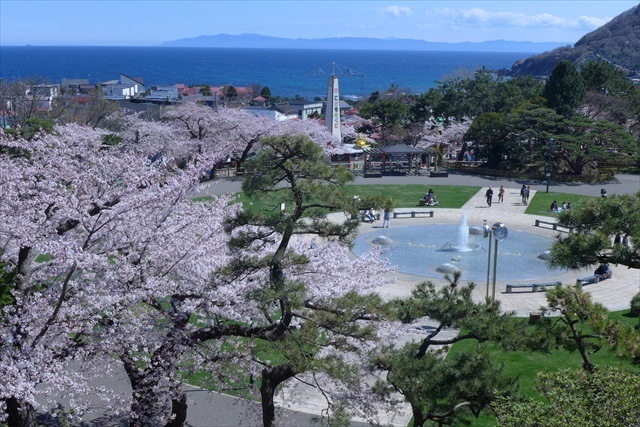 You can view the cherry blossoms from mid-May to late May at this popular late-blooming cherry-blossom viewing spot, after the Somei-Yoshino cherry blossoms in other places wither. From within the shrine you can see Mt. Hakodate and the Tsugaru Strait. 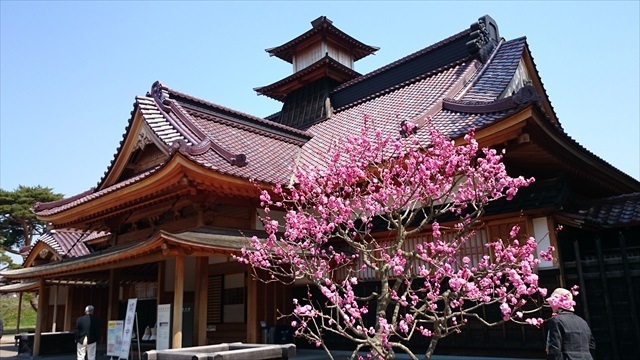 If you visit Hakodate during this time of the year, this is your chance to enjoy priceless scenery with the late-blooming cherry blossoms of the Ishizaki Jinushi Kai shrine! These cherry blossoms trees were donated by Matsumae-cho, a city renowned for Matsumae Park, which was selected as one of the “100 points of interest for cherry blossoms” in 1968 when the shrine was renovated. The spectacular cherry blossom tunnel created by about 170 Yaezakura trees spanning the entrance path to the shrine, has a different look compared to that of the Somei-Yoshino variety of cherry blossoms. What’s your impression of these cherry blossoms? 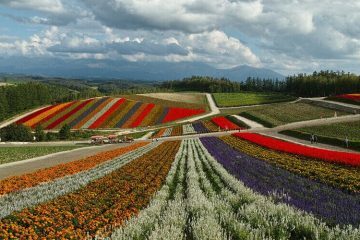 Although they bloom relatively late in Hokkaido, once they do, they bloom for a relatively long time: all the way from late April to late May! If you were already planning to travel to Hokkaido, how about visiting the spots we have introduced to enjoy the beautiful blossoms of Hakodate?